Product prices and availability are accurate as of 2019-04-09 07:18:48 EDT and are subject to change. Any price and availability information displayed on http://www.amazon.com/ at the time of purchase will apply to the purchase of this product. 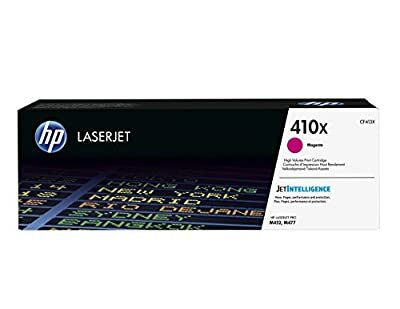 HP 410X (CF413X) Toner Cartridge, Magenta High Yield for HP Color LaserJet Pro M452dn M452dw M452nw MFP M377dw MFP M477fdn MFP M477fdw MFP M477fnw. 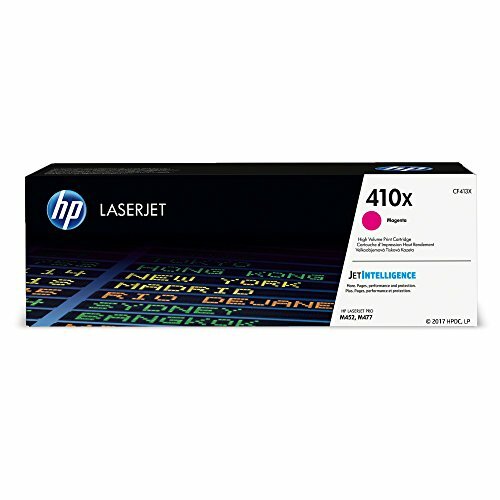 HP 410X (CF413X) toner cartridges work with: HP Color LaserJet Pro M452dn, M452dw, M452nw, MFP M377dw, MFP M477fdn, MFP M477fdw, MFP M477fnw. Save up to 25% with high-yield HP toner. HP 410X toner cartridge yield (approx. ): 5,000 pages. Original HP toner cartridges produce an average of 71% more usable pages than non-HP cartridges. Ensure that your printing is right the first time and every time with HP printer toner: 410X toner. What's in the box: 1 New Original HP 410X (CF413X) toner cartridge. Color: Magenta. Color: Magenta Cartridge yield (approx. ): 5,000 pages Print for longer than ever before-get 48% more pages per high-yield color cartridge Spend less time on problems. 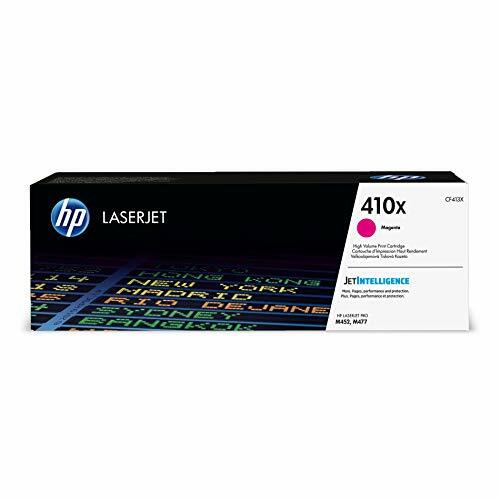 Original HP toner cartridges are designed to work flawlessly with HP printers What's in the box: New Original HP 410X (CF413X) toner cartridge HP 410X (CF413X) toner cartridge works with: HP Color LaserJet Pro M452, M377, M477.